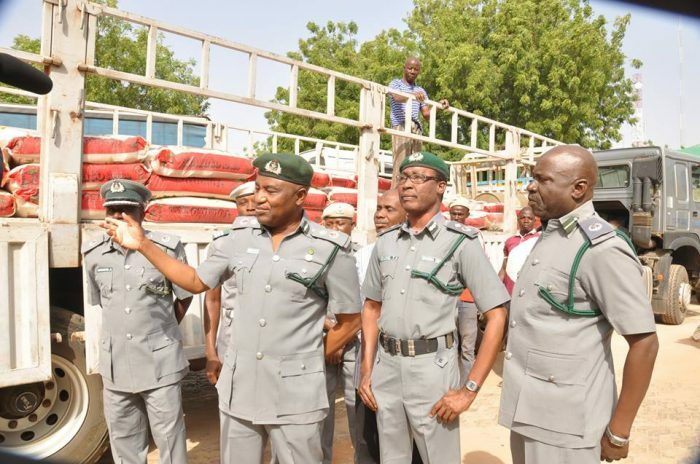 Customs Intercept 2 Dangote Trucks Filled With 365 Bags Of Fake Rice (Photos). While inspecting these seizures at the Command Headquarters, the Customs Area Controller, Compt. 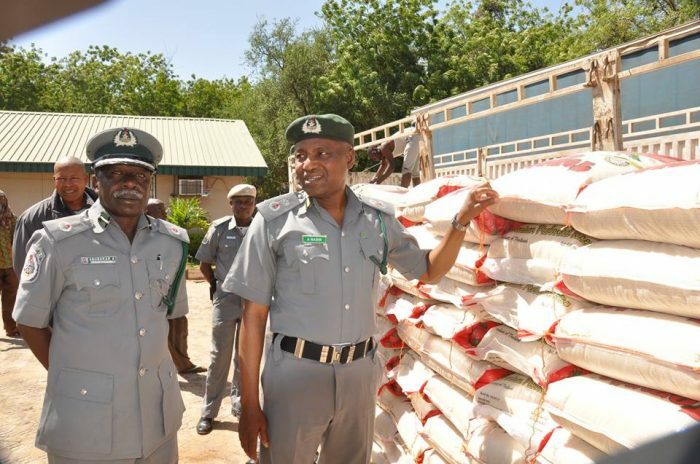 Nasir A. disclosed that Foreign Rice which was prohibited from entry through the Land boarders contravened Federal Government’s fiscal policy on Rice. 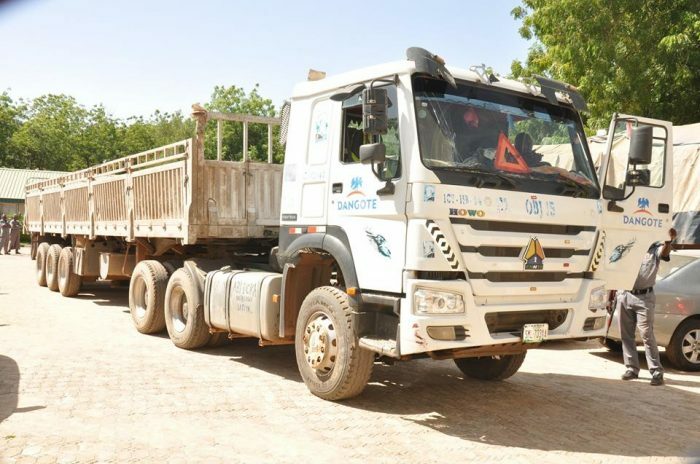 The CAC also revealed that the contraband items were arrested as a result of the vigilance of his Team of Officers on Border Patrol along Ilella /Sokoto Road. The contraband item which had a Duty Paid Value of N8, 748,320.00 (Eight Million, Seven Hundred and Forty-Eight Thousand, Three Hundred and Twenty Naira) was arrested at on Friday, 0150hrs and Monday, 0529hrs respectively. Two Suspects were arrested along with the contraband items, the suspected importer is also in the custody of the Area Command and will be prosecuted in due course.